Being a parent is tough. Parenting teens kicks it up a notch. It’s really tough! It can feel super lonely, frustrating and amazing within the same hour. Craziness! No child is the same. The have their own personality. So with this, there is no exact recipe for raising a perfect child; because there is no perfect anyone. I would like to think the majority of us aim to raise mentally healthy, steadfast and selfless humans. These are not attributes that are innate for most. This is where positive and strong parenting skills are a must. 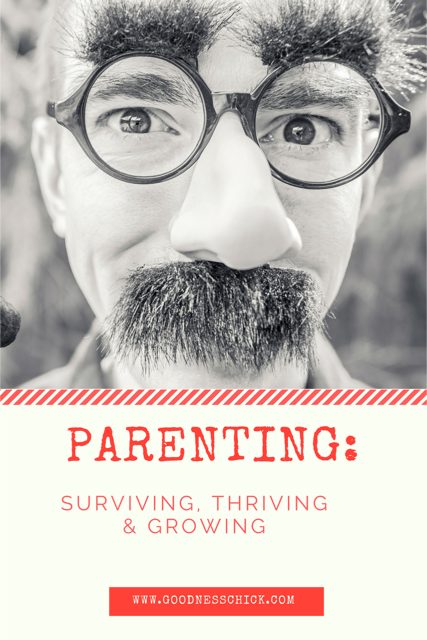 Parenting teens and pre-teens isn’t a game of craps or darts. It’s raising a human being from childhood to adulthood. A tremendous amount of ‘you’ will impact who they ultimately become. Holy moly that’s a lot of pressure. Yes, it is. Whether you’re child is seven or seventeen it’s all about having a game plan. The earlier you start, the better. I’ve worked in the mental health field for over fifteen years. I’m a parent. I am also a step-parent. I’m an aunt. I spent years as a youth leader. This drug lady has worn a lot of hats working with teens. What I can tell you there are a few critical ingredients when it comes to raising kids. uld fill pages, but I won’t. These are two key ingredients that I believe are critical in how we raise our kids. When we say ‘no,‘ our kids don’t dig us. They want what is best for them whether that’s at six months or sixteen years of age. It is our job to guide, love and direct them. It can be a challenge when that overwhelming sense of disappointment or disapproval is sent our way. The reality is that trying to balance a parent – child friendship with respect is impossible. You can’t lay down the law and in the next breathe try to connect how you once went out drinking and bar hopping with friends underage. The two don’t mingle. Sorry. or bad habits you are struggling with. These are off limits and if you have heaps in your head it is an ideal time to chat with a counselor. There are some great ones out there. There I said it. If every aspect of who we are is defined by our kids it will impact all facets of your life. You need you time. There has to be planned time with your spouse and /or friends. Being a laundry folding, lunch making, soccer attending, bed time story mom or dad 24-7 and 365 days of the year is no good. When we allocate time for a dinner date with our spouse or to catch a coffee with an old friend we breathe. We reconnect with the adult world. We feel a sense of autonomy. Our level of stress and angst typically decreases while our sense of self increases. Win-win, baby! This also allows your kids to see you as more than just a parent. You deserve a night off once in a while. When you take you time this message is sent to your children, your spouse and…you. Tap a date or two in your calendar and go laugh, have a coffee and do not incessantly check your phone. Give yourself a few hours of (insert name here) time. This teaches your kids that the universe does not revolve around them. It says you deserve some down time and you are a person not merely mom or dad. You are a person. Our kids need to be reminded of that and it will allow them to see you as more than that. Look at that calendar and make that long needed social meet up. Keep strong. 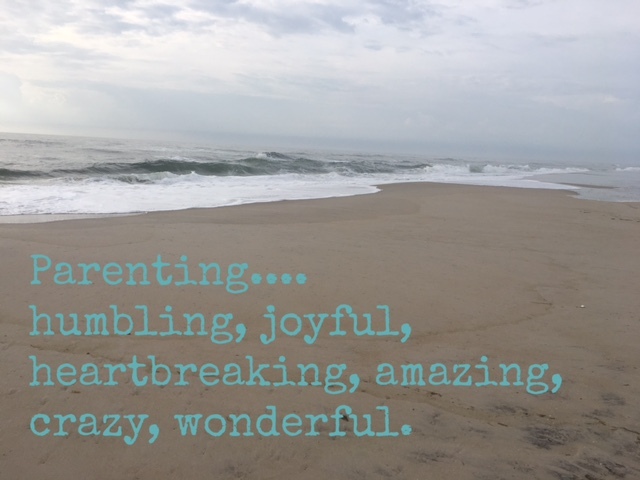 Parenting may be the craziest, most stressful aspect of life. But it is also the most amazing and beautiful. Sometimes we need to remind ourselves of that (like 2.45 times a day:). Wishing you a great day and an awesome week! Peace, Love & Goodness!